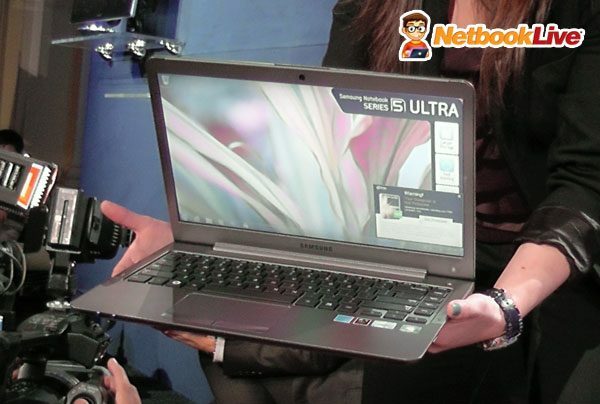 Samsung Series 5 ultrabooks unveiled! Set to hit the market on January 30 for $899 and up! After the Series 9 notebooks that we called ultrabooks even though they didn’t exactly follow all the standards of the class, there has finally come the time for Samsung to unveil their first 100 percent ultrabooks. The Series 5 13 and 14-inchers were revealed during the official press conference held at the CES in Las Vegas and will hit the market in just a few short weeks. 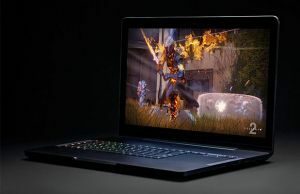 Both machines will be powered by Intel Core i5 processors and will feature 4 GB of RAM, as well as Intel’s integrated graphics cards (at least the entry level models). So far, so good, but to be honest, so far, so mediocre, taking into consideration Acer’s and Lenovo’s plans for this computer market niche. However, the Samsung Series 5 will sport matte screens with 1366 x 768 pixels res and, while we are far from impressed with the resolution, the anti-glare feature is not exactly trivial. The Series 5 ultrabook seems light enough to be carried around on a daily basis. Both the 13 and the 14-incher will also come with a 16 GB SSD, as well as a 500 GB hard drive disk, following in the footsteps of the Acer Aspire S3, the first ultrabook to feature dual storage options of this kind. I wouldn’t expect unbelievable boot times from these ultrabooks therefore, even though Samsung claims that they will in fact be able to wake up in just a couple of seconds from sleep mode. In terms of connectivity and ports, the Samsung Series 5 ultrabooks will feature an SD card reader, Ethernet, as well as full-size HDMI and two USB connectors. You will find a DVD drive on the 14-incher as well, a nice feature to have, but a pretty useless one, if you ask me. The Samsung Series 5 ultrabooks are not groundbreaking, but are pretty solid devices overall. As far as design goes, both these ultrabooks should be pretty elegant, as well as robust and solid, weighing in at 3.24 pounds (the 13-inch model) and 3.9 pounds (the 14-incher). You should also know that, if you are not a fan of dual SSD/HDD storage drives, the 13-inch Samsung Series 5 will be made available in a model with a 128 GB SSD only as well. 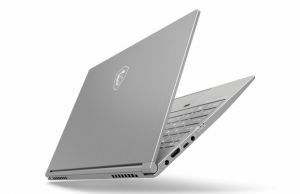 This will go for 1,099 dollars at the end of this month, when the notebook will hit the market, which is a whole two hundred bucks extra than the entry-level 13-inch version of the ultrabook. The 14-inch Samsung Series 5 will hit the market at the same time as its smaller sibling and should be made available for a starting price tag of 949.99 dollars. 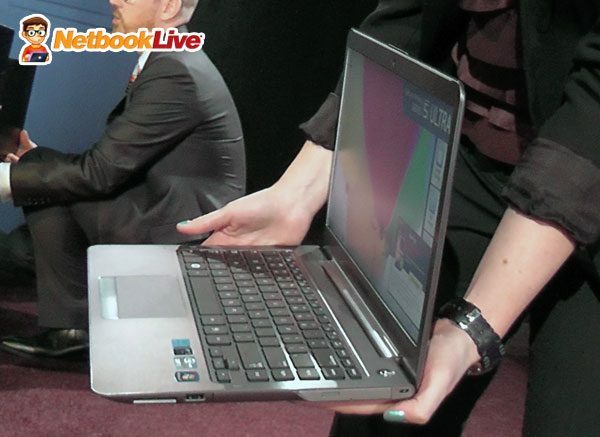 Next Story → Samsung Series 9 notebooks redesigned and upgraded, coming in February for $1,399.99 and up!